If you’ve ever shot a gun, you know about recoil. 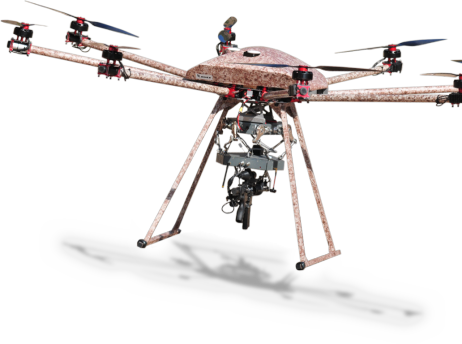 Florida-based Duke Robotics Inc, winner of the 2016 Security Innovation Award from the U.S. Department of Defense Combating Terrorism, has been studying stabilization technology for years and used it to bring a real solution to recoil on military drones. 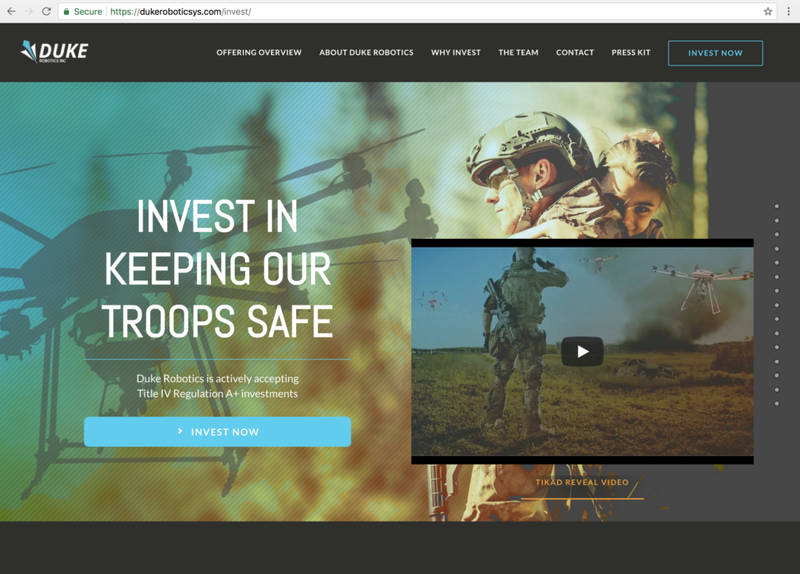 Duke Robotics is leveraging their technology breakthrough to make waves in the equity crowdfunding scene when they became the first military robotics company ever to open a Regulation A+ crowdfunding initiative aimed at raising up to $15 Million. 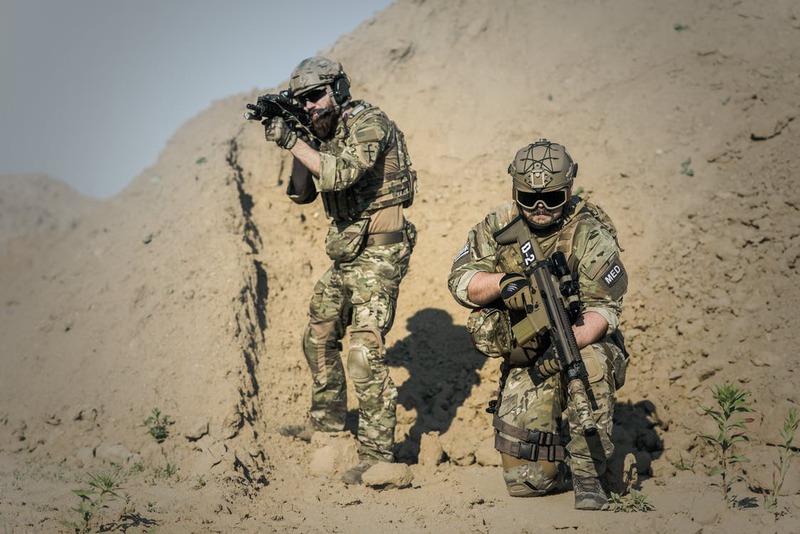 Regulation A+ crowdfunding allows SEC-approved companies like Duke Robotics to open investment via selling common stock shares openly to the public – allowing “the crowd” to purchase shares in a the company while it is continuing to flourish in the rapidly expanding market of military drone technology. After successfully building an octocopter named TIKAD, Duke Robotics demonstrated it is capable of keeping a drone steady in the air while firing multiple accurate shots and compensating for a gun’s recoil – a groundbreaking innovation in the global military drone market that is an estimated to reach $10 Billion in 2017 and to exceed $22 Billion by 2022, according to a recent report by Statistics MRC. This project, first unveiled on August 9th, 2017 is a military-grade octocopter named TIKAD. A specially trained operator uses a classified type of controller to fly the octocopter across terrain that may not be safely accessible by traditional means, such as ground troops. 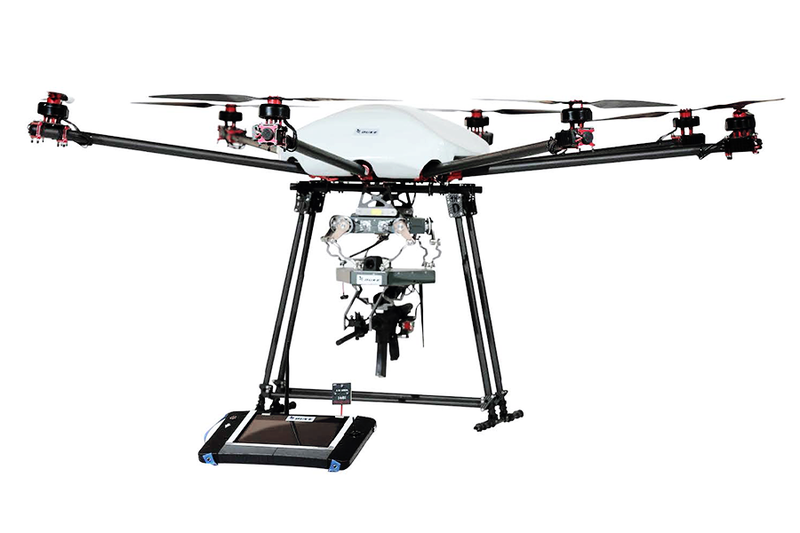 Tikad is special because it is the world’s first self-stabilizing platform that allows for accurate semi-automatic shooting from the drone while it is operated remotely. The advantage of controlling the skies, simply put, gives troops a significantly higher chance of mission success. When peacekeeping troops can do their jobs more effectively, that means they can return home safely to their families and children. The TIKAD is the solution to the state of evolving combat. This gives troops the immediate aerial cover that they are requesting from the front lines, especially in urban environments where getting a helicopter or plane to provide air support is very difficult. “When terrorists operate, they operate from within the civilian population – preventing the military from shooting a missile into their targeted area,” said Atuar. A single soldier can carry Tikad into battle and provide cover for the mission. This combined with the fact that it assembles and disassembles quickly makes TIKAD a highly portable and effective solution in today’s mobile and realistic guerrilla-style confrontations. The octocopter can be deployed in tough spots while the user remotely operates the drone onto any battlefield. This has two clear advantages: most importantly, an effective aerial tool like this reduces the quantity of soldiers who need to be sent into a dangerous hostile area. Secondly, TIKAD is adaptable to the task at hand, with the ability to navigate around or above ANY geographical obstacles in its path. Our mission at Duke Robotics is to above all, save our soldiers’ lives and make the world safer. Our technology will prevent the loss of life and give us an advantage in a modern battlefield that is asymmetric and unpredictable. We’re bringing new capabilities – The Future Soldier – to the table in order for our military technology to keep pace with new kinds of battle and the changing landscape of warfare. As the threats around the world increase, so too will government spending to address those risks – especially under President Trump who is outspokenly in-favor of additional military spending for the US and our allies. More than at any time in our history, empowering and protecting our troops is essential. 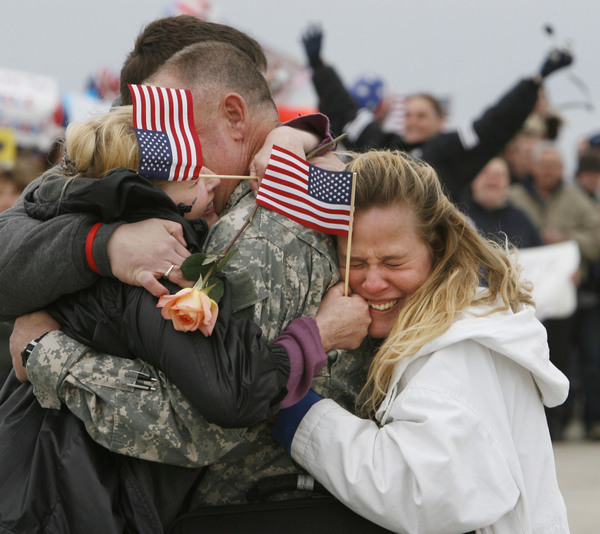 Not just for our troops’ safety, but also for their families who want them to come home safely. Duke plans to raise $15 million through Regulation A+ crowdfunding, meaning that Duke isn’t simply taking cash donations. They are selling stock in the company that the investors can then participate in as the company grows. Regulation A+ allows corporations that have not yet gone public on Wall Street to distribute this stock, creating a highly profitable venture for the company and the investor. 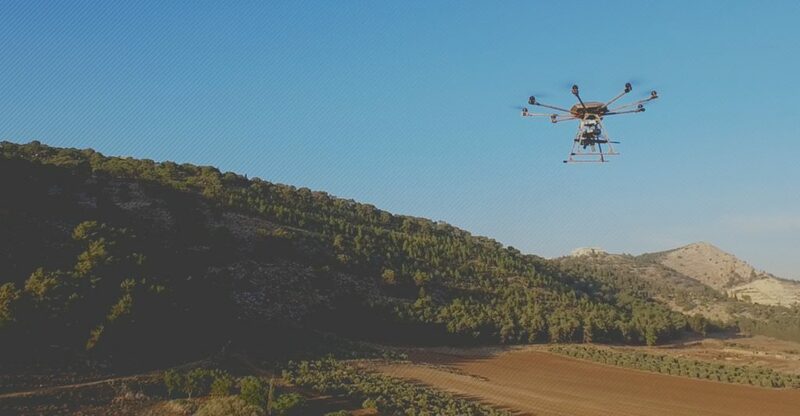 The Duke Robotics investment appears to represent the best of highly regarded Israeli special missions military experience combined with exceptional Israeli technology. Duke Robotics Inc has developed the next generation of combat ready drones that will be able to keep the peace without a heavy military ground presence. The founders recognize this as a critical point in our history where military robotics and drones are an area of rapid growth and investment interest. TIKAD is a dramatic step forward in developing the supportive technology resources needed by troops in today’s modern skirmishes and guerrilla warfare. I’m Interested In Duke Robotics, How Do I Become a “Backer”? Within the last five to ten years, the growth in the robotic and drone markets has been immense. Looking at the market trend, it is easy to see that high-tech solutions will only continue to grow. The Duke Robotics website allows anyone to participate in their Reg A+ equity crowdfunding offering by purchasing shares. The checkout process is a few simple steps, no account or login required. In less than 10 minutes you can become an investor at just $3 per share of common stock. Today, the Armed Forces and Homeland Security are already using drones for both observation and intelligence gathering, and Duke Robotics brings innovation one step further with TIKAD’s unmatched portability and firing capabilities that will help peacekeeping troops to complete their missions more effectively and to return home safely to their loved ones. That’s something we can all understand and get behind, and this will be a great test of the Reg A+ equity crowdfunding model as a vehicle for supporting emerging groundbreaking technology companies that have a broad appeal like Duke Robotics.